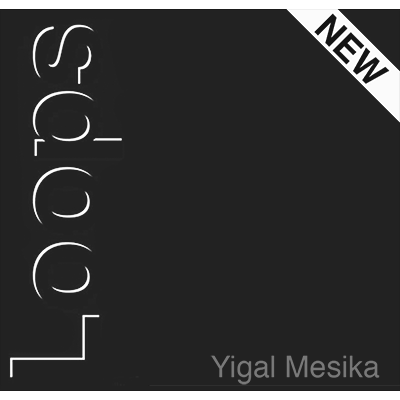 Discount Magic - Loops New Generation by Yigal Mesika. Imagine being in a restaurant, you place a fork in the center of the table and slowly it begins to move! The fork stops and immediately a spectator may pick it up for a complete examination! Or perhaps cards are more to your liking...You hand a deck out to be shuffled, it could even be borrowed. A card is freely selected and returned to the deck. The deck is placed on the table. Slowly the deck begins to cut itself and then one card pushes out of the deck! The card is turned over to reveal the spectator's selection! Everything is immediately examinable! Loops only break easily if you havent practised with a rubbe ..
Loops New Generation by Yigal Mesika Imagine being in a restaurant, you place a fork in the center of the table and slowly it begins to move! The fork stops and immediately a spectator may pick it up for a complete examination!